I recon they probably have got plans for this as a full theme but will only role it out if the Ideas set works well. "Andrew’s winning design featured a range of Doctors, companions and monsters across the show’s history, but fans will have to wait until later this year to discover what will be produced." I have multiple people in my house that will majorly want this set. Am I the only one here who thinks that it is a bit odd that Lego keep rehashing old character building licenses (scooby Doo & Dr Who). Surely there are plenty of other film and TV characters that could be made that havn't seen the light of day within the last three years. The character building license must have only just expired, and Lego are jumping on them already. It just seems to be a lack of imagination on Lego's part. donutboy, I think it's the opposite it's very sensible for LEGO to end up picking up the Character Building Licence - I think they picked up Batman after someone else had the licence as well. Many people don't build a brick built toy sets unless it is LEGO - they assume that all other brands / makes are inferior. But the market is tested by CB and LEGO can see there is a demand and go out and make a better model and with good distribution will sell far more than CB or others could manage. I think you could say a majority of what Lego produces lacks imagination these days. Lego Star Wars made the company profitable and they are sticking with the licensing formula. Meanwhile the City, Castle and now Pirates sets are basically re-done every so many years. Yet here I am, quite excited for a Lego Doctor Who set. Ironically I think that the Doctor Who licence relapsed before the Scooby Doo licence. I know my local Tesco still has CB Scooby Doo figs but clearanced the Doctor Who ones ages ago now. Old? I guess in terms of time they have been around, but these are current and very active shows. 1) Scooby-Doo is coming out with a new cartoon this year. 2) Doctor Who is currently very active, and they just got a new Doctor last year. It is on BBC America, the licensed products have had a prominent spot on the main aisle of Barnes and Noble for at least the last year. It may not be as popular as some US licenses, but I do know that there are a fair number of kids at our school that are very into the theme. If anything these seem like the correct licenses to go after. What is funny, is that these are the two licenses I am the most excited about in a very long time. I just hope there is a reasonable range of characters including companions. "Old" as in the licenses were previously held by Character Building for both Doctor Who and Scooby Doo. I am excited for the Doctor Who sets. I watch every new episode and have seen plenty of the original series too, although I have to admit some of the episodes in the last series were pretty rubbish. I would like to see the design stay close to the original submission. The Tardis model looks lovely and I would like to see a full console inside. As for minifigures, I think the 10th Doctor, Rose Tyler, Tom Baker, Sarah-Jane Smith, K-9, a Dalek, a Cyberman and a Weeping angle would be ideal. That is probably a bit optimistic though so hopefully we will see an entire theme following on from the actual set. But if you take Sponge Bob for an inverse example, would Lego then be progressive and forward thinking considering they had the license first and let it expire so that MB can pick it up? I meant it every way you might imagine. Last I checked, LEGO wants licenses that make money; that are popular now. Doctor Who will make LEGO money. As 'old' as the series is it really has not been more popular. It is better IMO than Simpsons, or most of anything else one can think of that is 'new'. I do agree a bit with Scooby Doo, but in many ways it too has had a resurgence, more importantly I have heard many parents report their kids would want Scooby and the gang. As for 'new' licenses'.. like what? Batman (LEGO has it) Marvel (LEGO has it), In any case those could also be construed as 'old' licenses as well. But yet seem to be doing well among collectors and fans alike. I guess Men in Black and Tron are two that come to mind, but neither are the 'in' thing right now. I'm going to want the set, but I have a feeling that getting one will be quite difficult. I see another Minecraft disaster, but possibly worse. I have no interest in Dr who and nor do my kids, they have some interst in Scooby doo but very little, its just not a big thing here and I never hear any of there friends talking about it either.now if they had phineas and ferb Lego we'd have to have it all. My nephew and niece will go nuts for Scooby Doo. They watch it loads (it is on every day I think on a channel they get in the Netherlands). Their dad, on the other hand, will go nuts for Dr Who Lego. He is a massive Whovian, has loads of tat I mean memorabilia related to it. Their spare room used to be called the Dr Who Room at one time because of the amount of stuff displayed there - all MISB of course. I'm hoping the set is out in time for his birthday in the summer. I don't know enough around the licencing process, but I guess that someone from the BBC gets a degree of decision in what goes into these sets - I'm sure they will at least want to produce a very up to date set with the current Doctor in as it makes good marketing sense! Awesome...just awesome....Because without LOTR other than Super Heroes there isn't a whole lot I am looking forward to set wise his year (Avengers looks okay at best). It seems to be BBC Worldwide that has signed the deal, rather than the BBC. So they probably will use it as an advert for the current series. Although I still hope for Tom Baker. Fantastic, absolutely fantastic. 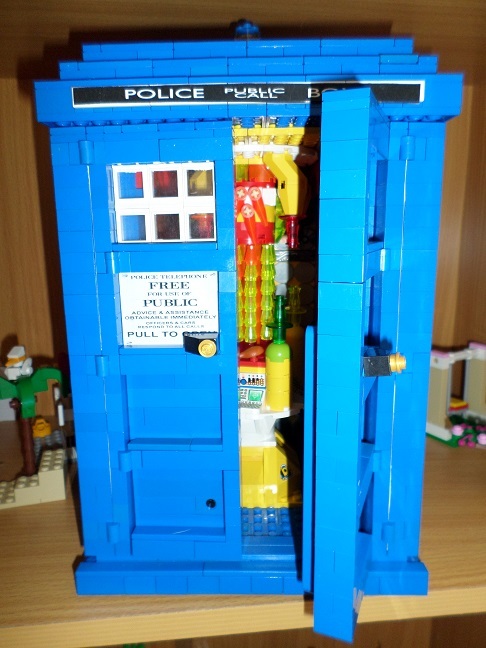 Doctor Who is based on pure imagination, once you've got your TARDIS that blue box can take you anywhere and any when and hopefully it will inspire younger builders to create new worlds and times for the Doctor to visit. @mr_benn lets hope the set is not an omnishambles . . . . . . .
You would think that two little capital letters wouldn't make a difference, but it did. I read the one post generically as 'old character building licenses', as just an odd way of saying licensed sets where one is focused on building their licensed characters, but as older licenses. I did not read it as Character Building as you point out. I am not sure I want Tenant. I would rather have Matg Smith. I like David Tenant (not as much as LIT or in the same way) but Smith is my Doctor. I would also take Peter Davidson. Well the Lego ideas video shows that they picked the set with Matt Smith, David Tenant, and Tom Baker. But with the video it looks like they are going with Capaldi. I actually would like it if we got all of those. though Tom Baker and Matt Smih would be the two I want (My Doctor and my daughter and wife's doctor). ^^ could be licensing issues similar to Star Wars as Character Options currently have DW figures. @carlq - ironically that story was done after a Blue Peter competition for kids to create a monster...makes it even worse! Just read in the evening standard that bbc worldwide has signed an agreement with lego. Should be fun to see what comes out. They were hinting at the end of the year. ^^ let's hope it extends to Top Gear and other BBC shows (Sherlock anyone? probably too violent and they rejected it once before.) Of course the UCS Helicarrier is coming up for review in the next period - gee I sure hope they make that one! I'm so excited about this doctor who set. I prefer the 11th doctor though. Why would they make another Helicarrier? Just read in the evening standard that bbc worldwide has signed an agreement with lego. Should be fun to see what comes out. Ooh. As far as current BBC properties go, I'd happily see a Musketeers inspired set or three. I think a special prize should go out to the first article that uses "Legos" in the same sentence as a reference to The Doctor as "Doctor Who." @Plell - with a bonus award if the manage to do it in the headline! @CCC The internet swallowed my sarcasm apparently. I thought it was ridiculous they said at the end of the new review video that the Helicarrier would be up for review next time. 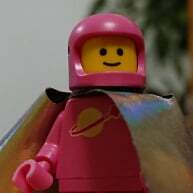 It just adds to the notion that Lego are flying by the seat of their pants when it comes to Ideas, no matter how many times they tell us about the all powerful "Lego Review Board." @crosseyedpirate - I read your comment as sarcastic, but you never know with the internet. I think that one of the big weaknesses with the Ideas platform is how it makes people question the transparency of what Lego do. I'm sure that their helicarrier would have been in development for a long time, but the coincidental timing will make people complain. It's a little bit lose lose for Lego because they do need to maintain a certain amount of secrecy etc - especially when dealing with licenced IPs. It does seem a little daft that they didn't make a 'by the way we're removing this one from the review because our own helicarrier has been unveiled type comment' but I think that people would have called foul play on that. @Shib quite right, there is a process with Ideas and they won't drop a project that has passed 10,000 mid review as that would be a breach of the process. @crosseyedpirate I don't believe that the review board is flying by the seat of their pants at all, they have a process and they stick to it. After all they are under no obligation to explain it to us. Is there any chance that this Dr Who set could lead to other Who themed items? My wife would kill for a LEGO Doctor Who game. Ironically it occurred to me that every LEGO set with figures could interact with a Doctor Who set. Westerns to Space , Castles to Atlantis, City to Ninjago - I can't think of a set that couldn't cross over with..... I hope they make a Massive production run. It happened with minecraft, so of course it could happen with Dr Who. As someone who recorded all the Dr. Who episodes from TV to VHS tape in the 80s and wrote a program in Basic to catalog them to be able to find the episodes. Yeah - I'm excited. @LostInTranslation I have to agree that David Tennant is one of the best Doctors. Did you see Gracepoint? Watching it, I forgot that he ever was the Doctor - unlike Americans doing British accents, his American accent was very good. Which reminds me of Peri - terrible American accent.